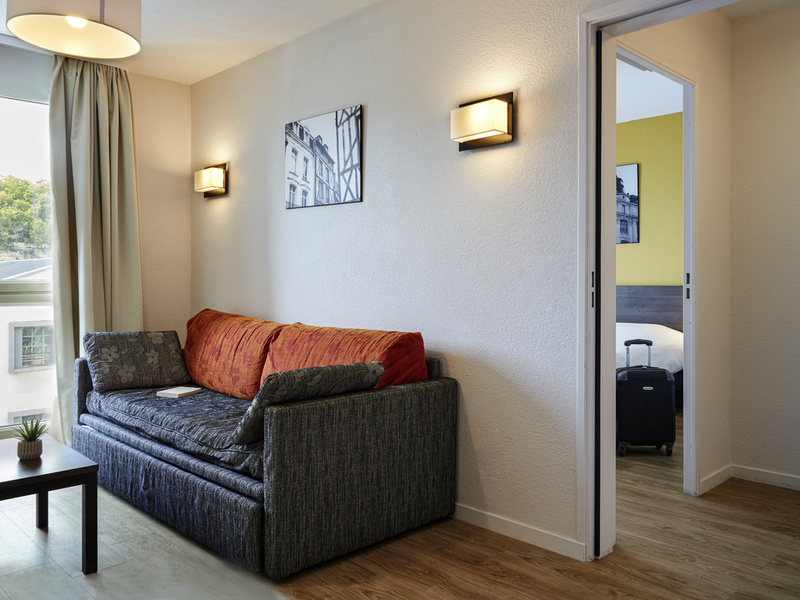 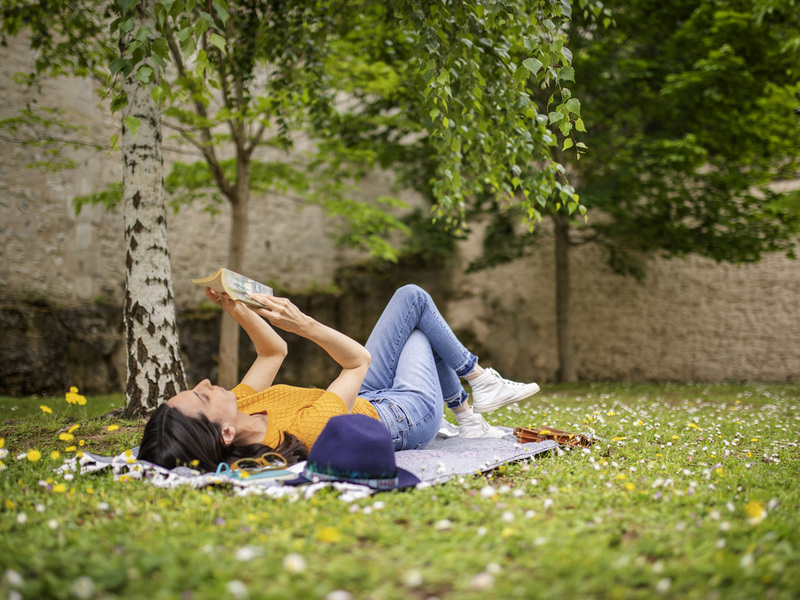 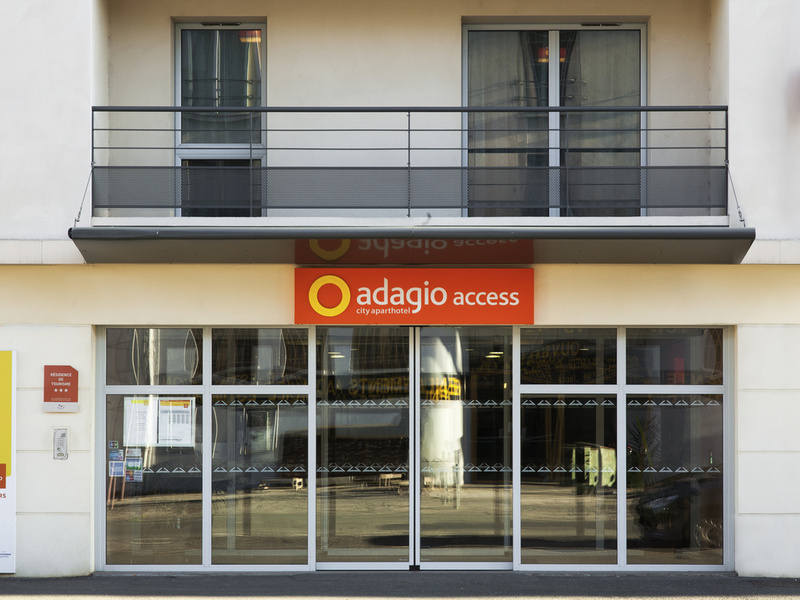 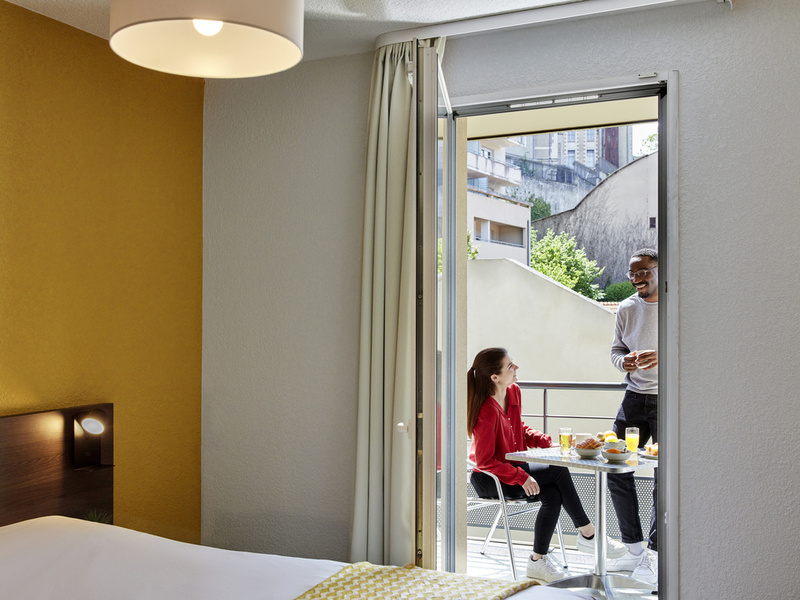 The Adagio access Poitiers aparthotel is just a stone’s throw from the city centre and less than 15 minutes by foot from the Poitier TGV train station. 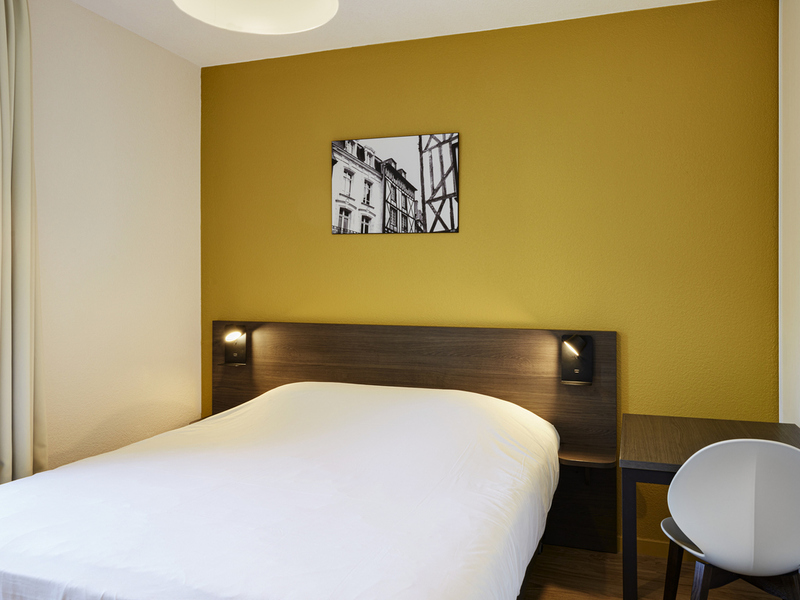 It is situated near numerous tourist attractions, including Futuroscope (15-minute drive). 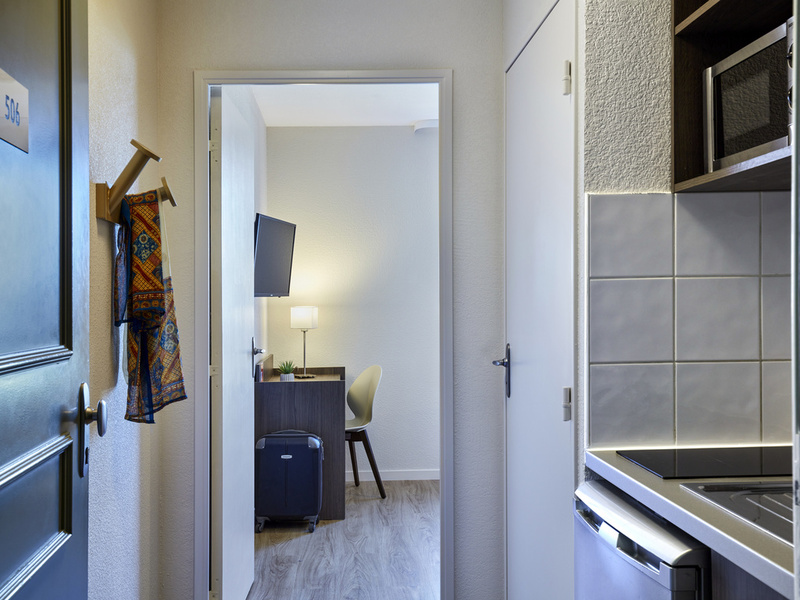 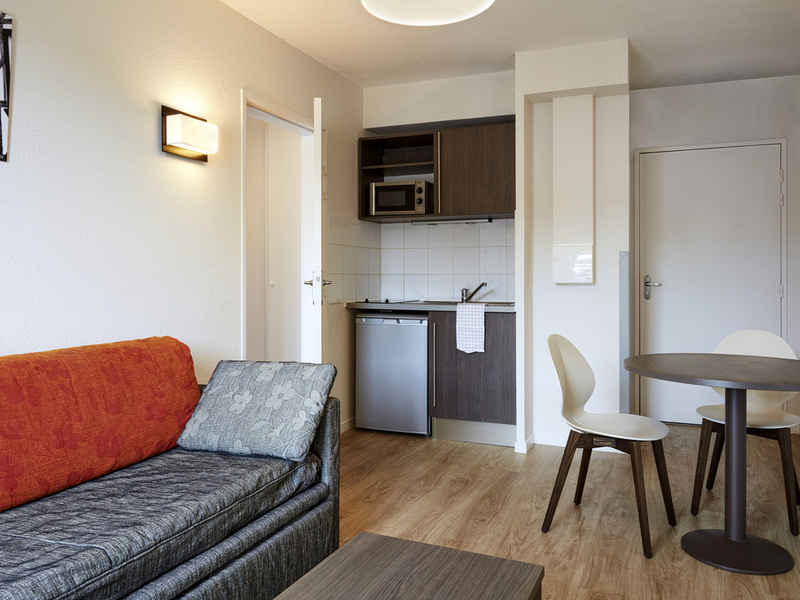 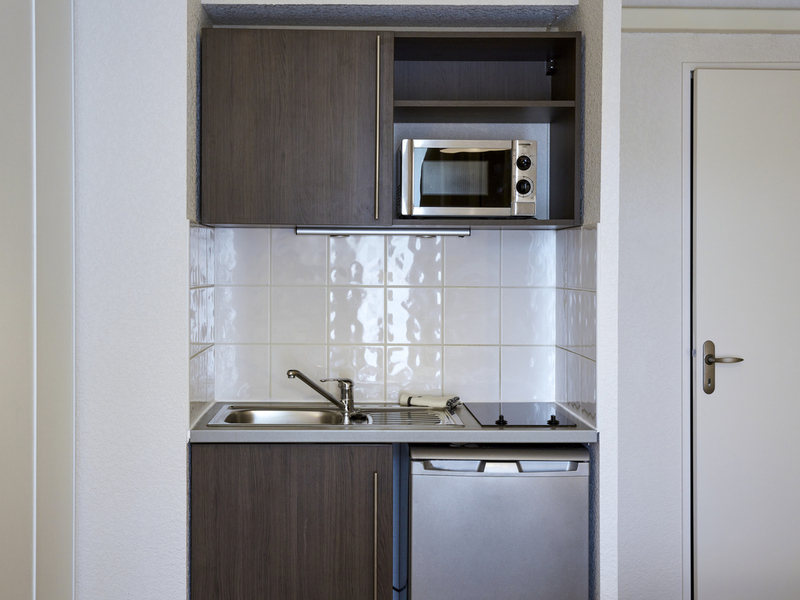 Our 125 apartments, ranging from studios sleeping 2 people to 1-bedroom apartments sleeping up to 4, are fitted with a fully-equipped kitchen. 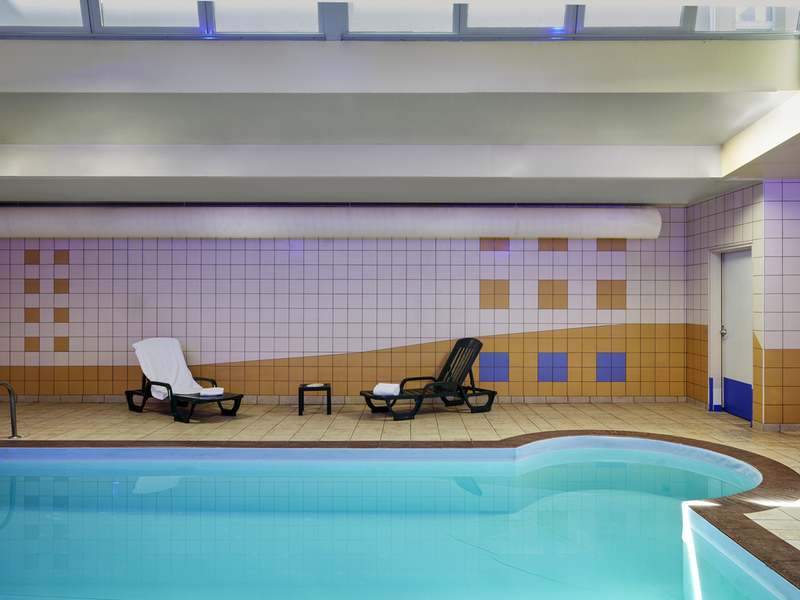 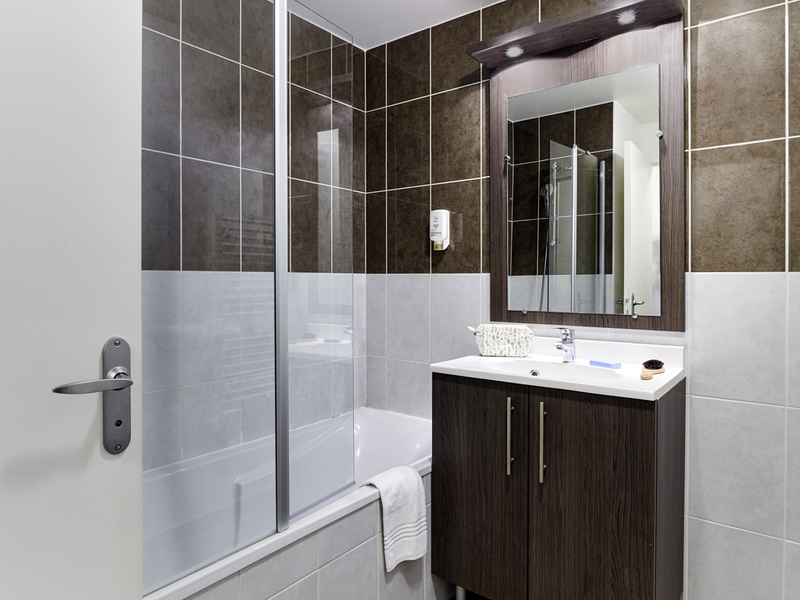 To make your stay as comfortable as possible, you will have access to an indoor swimming pool and private car park. 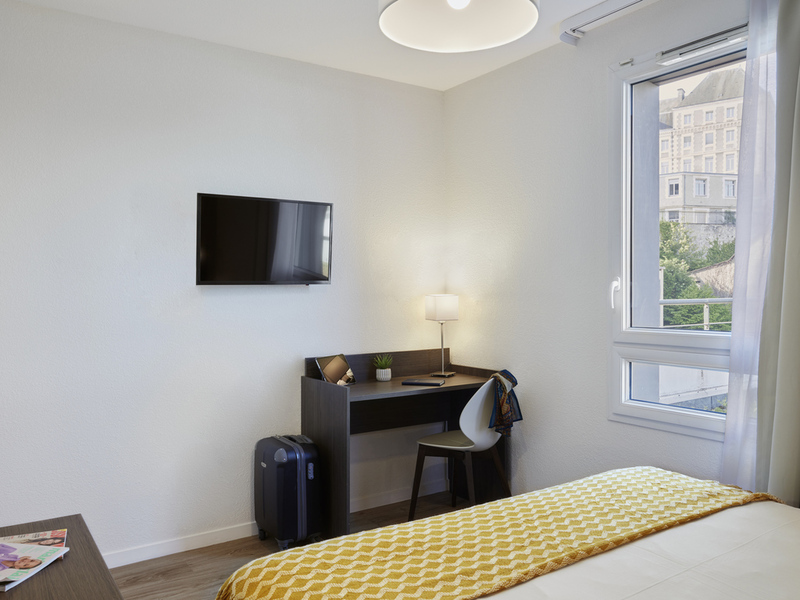 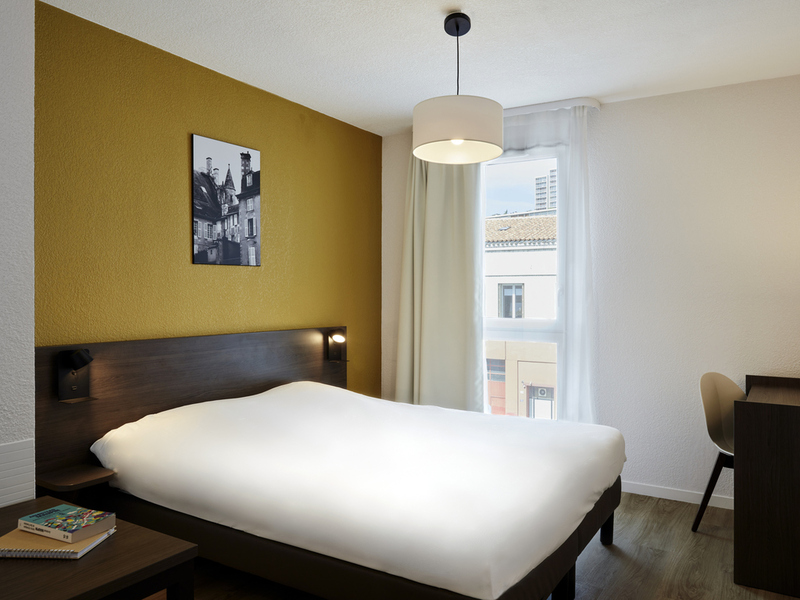 Studio with courtyard view featuring a lounge with 1 double or twin beds, fully equipped kitchen, desk space, telephone, bathroom with bathtub or shower and toilet, TV and high-speed Internet access.